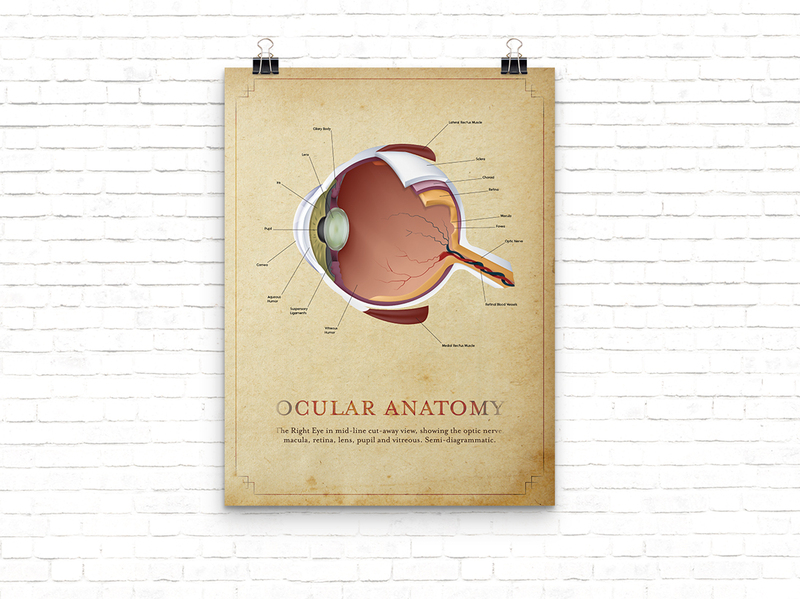 This cutaway illustration of a human eyeball is an original illustration using an isometric grid. The 3D appearance is achieved using gradient mesh as well as other shadow/highlight techniques. Each anatomical part is annotated using a clean, easy to read sans serif typeface. 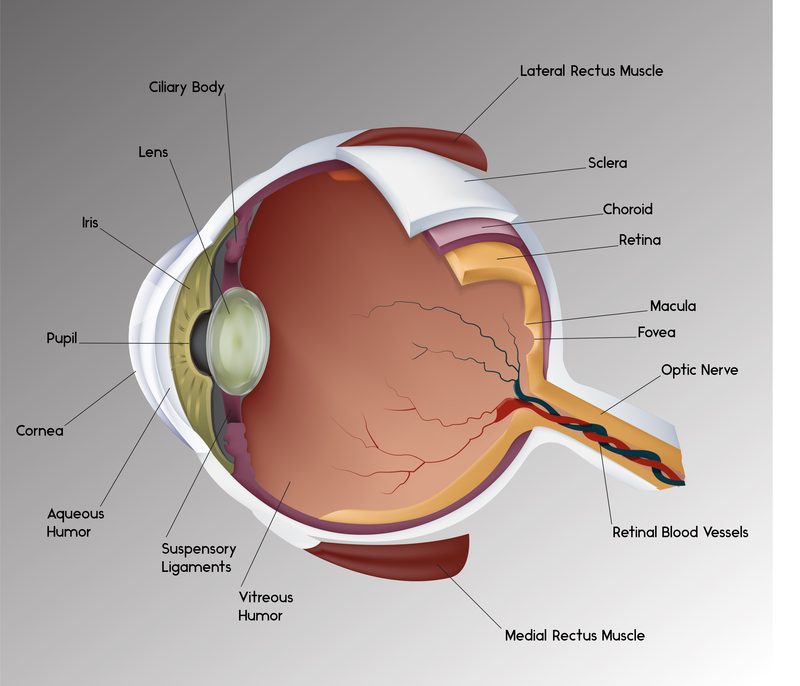 It is shown here as part of a science textbook layout and a poster intended for use in a medical office setting. 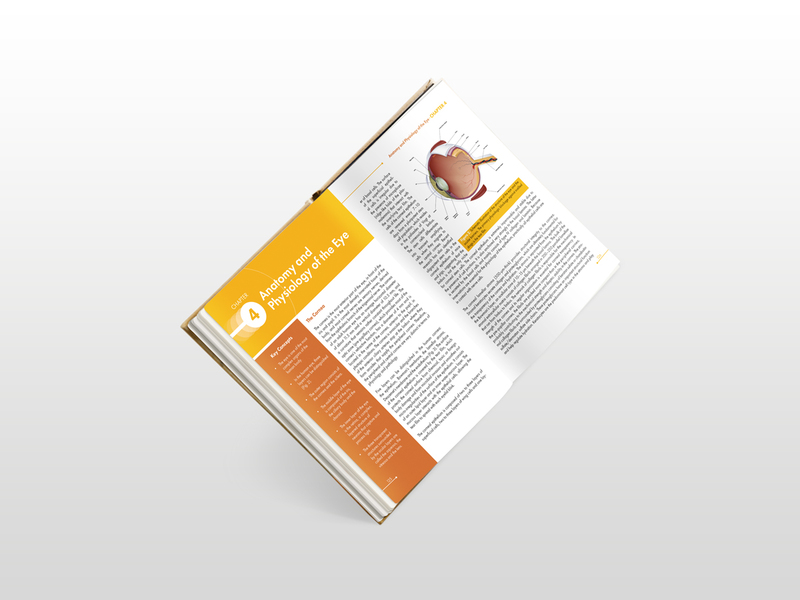 The textbook layout design was created in InDesign with the poster design created within Photoshop and InDesign.